Dr. John Cooley of Magicicada.org was interviewed by Ira Flatow on Science Friday. Listen to the interview. Singer / Songwriter Kathy Ashworth wrote a song called Sick of Cicadas, which you can listen to on her website. 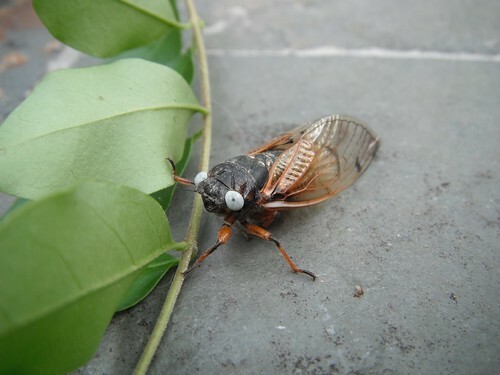 This A Basic Guide to the Meaning of the Letters on Cicada Wings (pdf) will help you… figure out what the letters that appear on cicada wings mean. If you want to send in a cicada news story, video, etc, email us at cicadamania@gmail.com or find us on twitter at @cicadamania. A word from our sponsor: The best way to remember a cicada emergence is with cicada apparel or mugs.